Pharma isn’t a well understood career for doctors who aren’t working in this field due to relative lack of exposure throughout training. However the big draws tend to be financial with more opportunities for leadership and making an impact in a commercial or research setting. 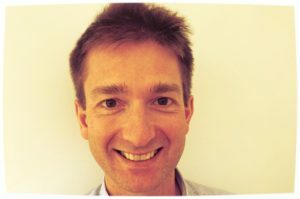 Nevertheless, we note that doctors tend to approach their applications with little knowledge on how to optimise them and what to expect, therefore we catch up with Dr. Paul Hercock – a doctor with 7 years experience in the world of pharma for his top 5 points on what doctors commonly overlook when considering this option. That’s right – doctors aren’t closely scouring your carefully crafted CV like a journal appraisal. It’s usually a hard nosed recruiter who is used to screening thousands and thousands of CVs. They may spend about 30 seconds on yours if you’re lucky. Does that make you think again about how you’ll present yours? Sometimes there are specialty specific projects which require domain expertise, however most of the time they’re looking mainly at your transferable skills that would fit into the business. Have you communicated this clearly in your application or does your CV proudly list pages of your job history considering you’ve moved hospitals or even rotations every 6-12 months? Somewhat a contradiction to the above, but it’s somewhat more important to focus on your online presence. Particularly your LinkedIn profile. .. sorry.. did you say what’s LinkedIn? Working in pharma isn’t the most conducive to the best work/life balance. Depending on your role, you will likely be expected to travel across the world and relatively short notice, and flexibly from various locations. Working in pharma requires a significant change in mindset from clinical medicine. Be prepared to be challenged in ways you hadn’t imagined – in return you will be rewarded both personally and professionally.